Land Rover has long stood as the brand of choice for off-road vehicles. In modern times, it extends to be the brand of choice for chic designs and sheer power as well. 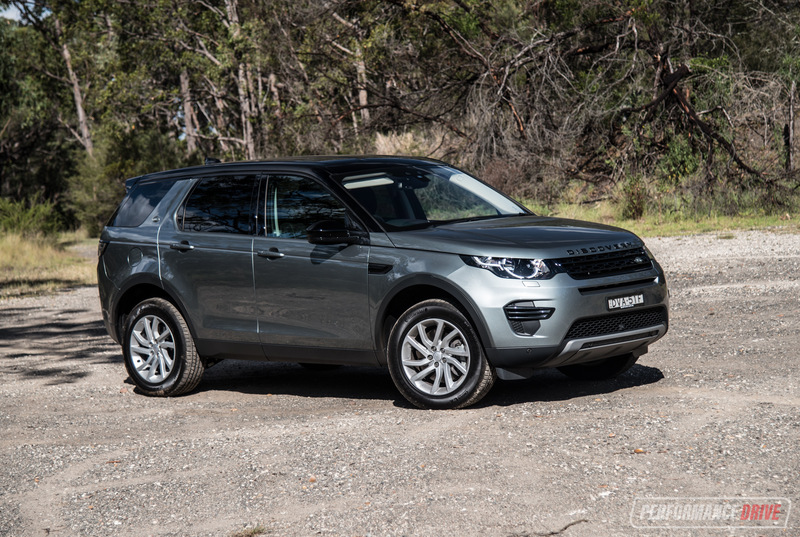 The Discovery Sport has been around since 2014, but only now is there finally an option for a gutsy twin-turbo diesel engine. 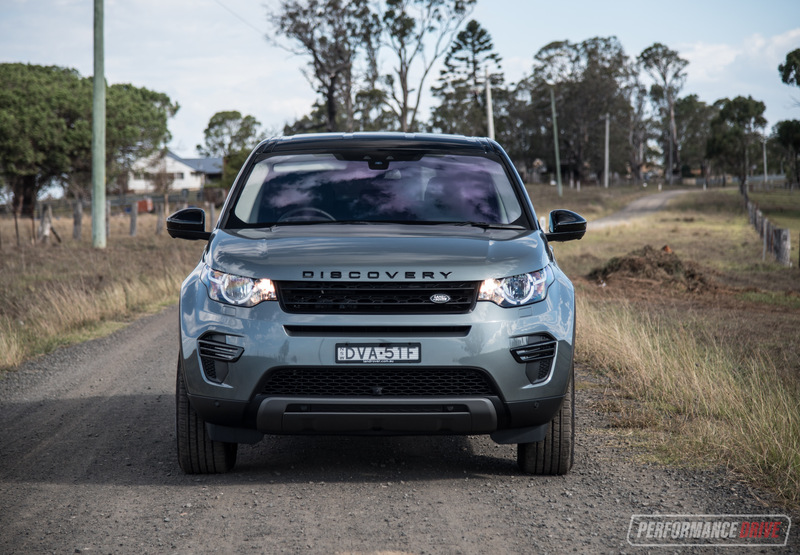 The new Sd4 SE is fitted with the top-spec Jaguar Land Rover ‘Ingenium’ four-cylinder diesel. 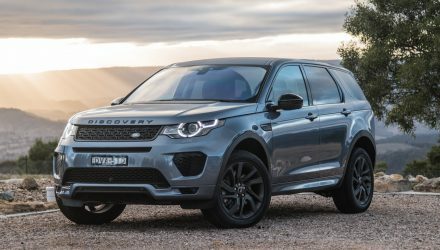 It’s offered in other models, such as in the latest Range Rover Evoque and the new Jaguar E-PACE. It outputs 177kW and an impressive 500Nm, and is paired with a nine-speed automatic transmission and on-demand all-wheel drive system. 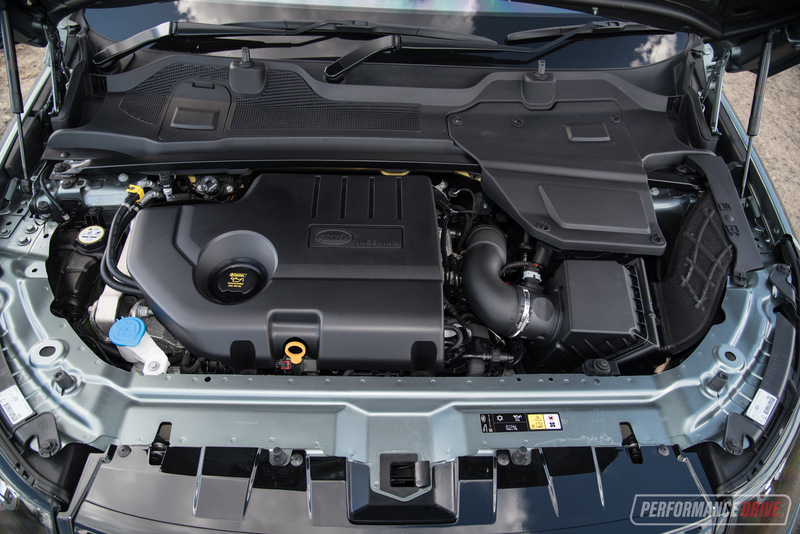 These outputs make it the strongest four-cylinder diesel engine in the class. Some of the technological advances you see in other SUVs, you need to pay extra for here. But that just helps expand the overall accessibility and bring down pricing. And it’s not like it’s a bare bones bargain. 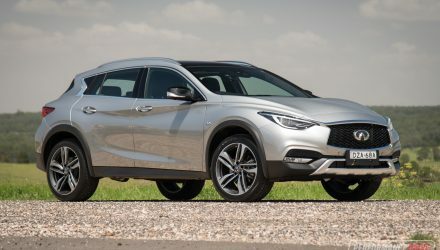 There’s a 10-speaker stereo, rear-view camera, forward collision mitigation, rear parking sensors, daytime running lamps, selectable driving modes, power front seats, gear shift paddles, auto dipping high beams, puddle lamps on the door mirrors, proximity keyless start, lane departure warning, power tailgate, auto headlights and wipers, all as standard on this Sd4 SE. 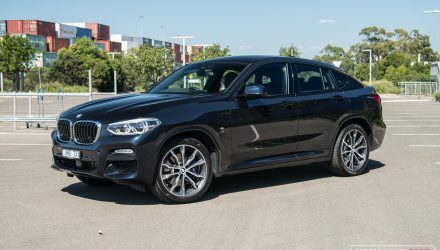 You need to fork out extra if you want seven seats ($2100), adaptive cruise control, reverse traffic detection, digital radio, front parking aid, head-up display, heated seats, surround camera, and tyre pressure monitoring. 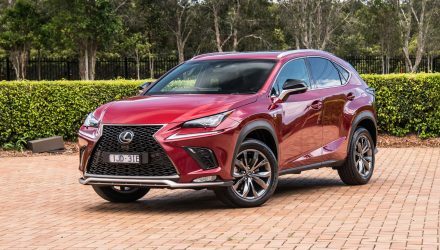 This test model is fitted with some of these extras, resulting in an as-tested price some $20k north of the initial cost ($86,485). That is a lot for options, however, it means customers can be very specific and tailor their vehicle to their exact requirements and needs. You can also personalise for some exclusivity, with cool options such as the Black Pack for that sinister street look. There’s also an optional contrasting roof colour, and loads of high-end luxury features to choose from for the interior. 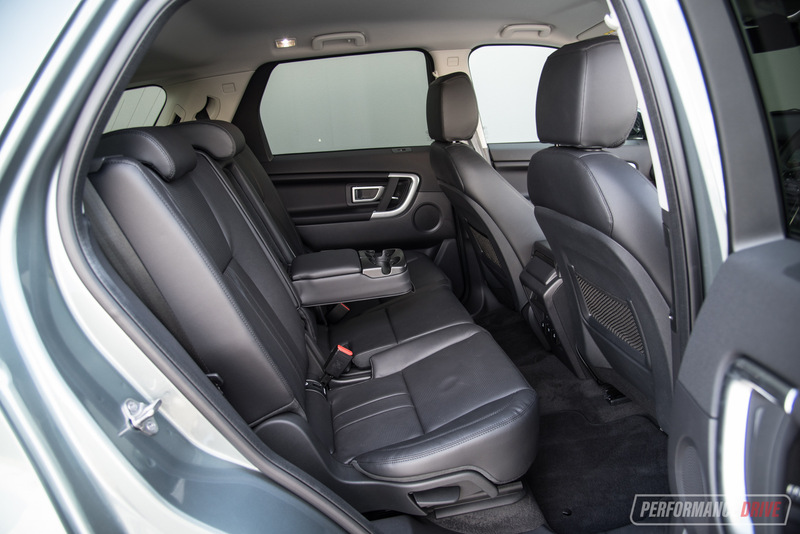 Speaking of the interior, the design is very modern with a sophisticated yet practical character. It uses a linear and clean mould that will probably take longer to outdate than other quirky designs. 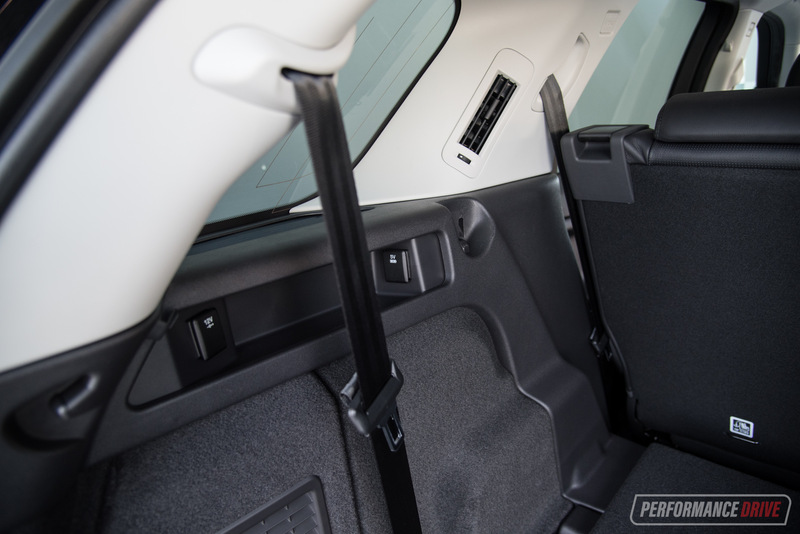 This clean and conservative approach also makes the cabin unobtrusive and simple to navigate. We like the premium brushed metal finishes and the feel of the velvety dash materials. The centre multimedia screen has now done away with any physical buttons that used to be on either side. This new setup, called Touch Pro, is quick to react and easy to navigate through the menus. Oddly, this test vehicle experienced lots of problems trying to provide FM radio reception, which could be an isolated issue with this specific car. 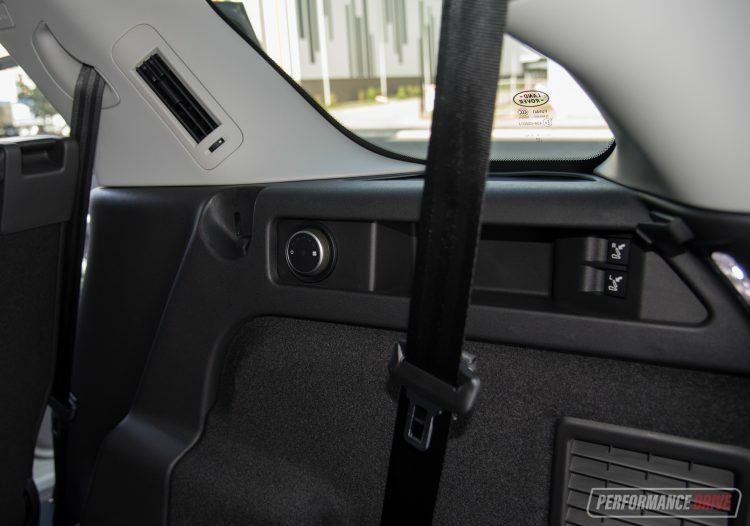 It’s good to see that lower in the dash, physical buttons still remain for the air-conditioning controls. We find these allow more of your attention to be reserved for the road, as opposed to digging around within the main touch-screen. 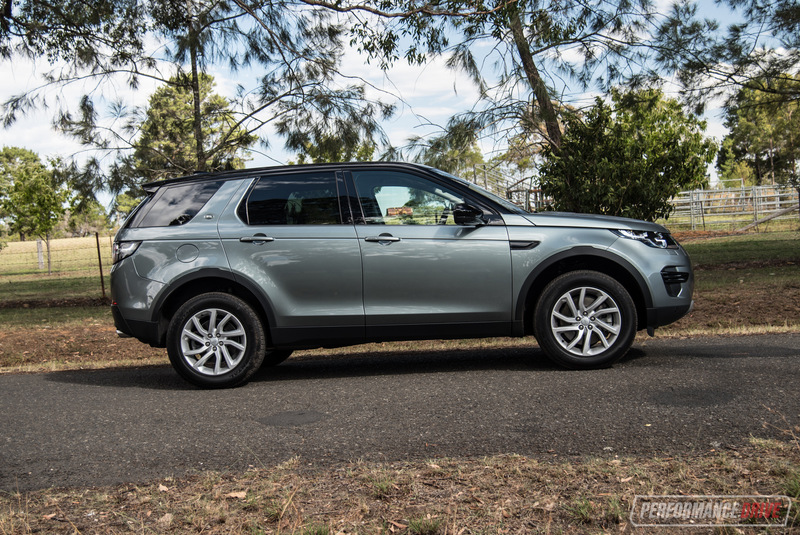 Comfort levels in the Discovery Sport are more about hard-wearing longevity than plush pampering luxury, it seems. The seats feel premium, but they are a little on the firm side. Space-wise though, the interior is particularly airy and spacious. Especially between your shoulder and the door. Larger-framed passengers will appreciate this. A small setback is that some storage solutions fail the inertia test. When taking off from still, anything in the centre console space, and your bottle of water in the door pocket, can suddenly become a projectile in the cabin. 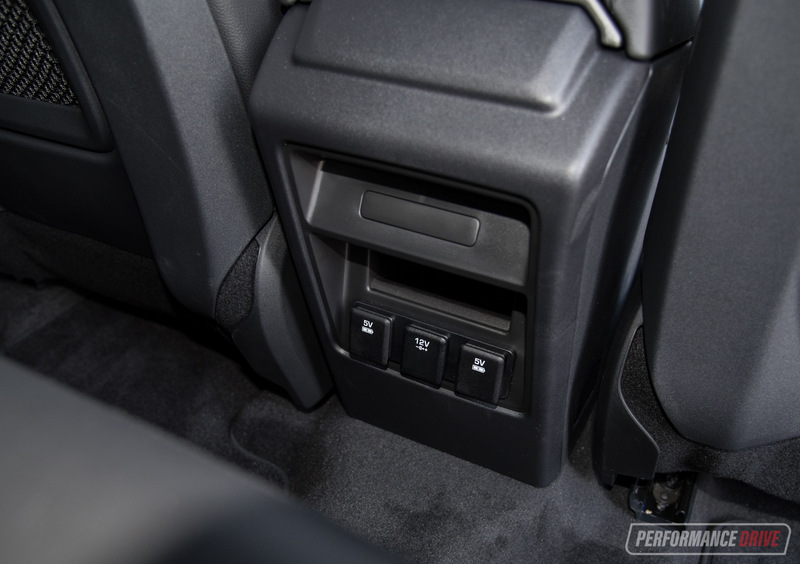 The centre console bin is also very small – it does not fit a mini tissue box in it, for example. 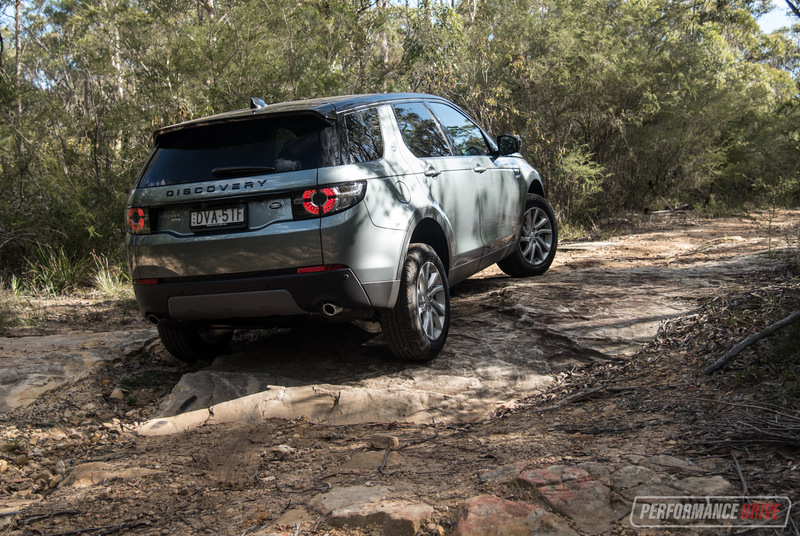 Rear passengers are not forgotten for space and features in the UK-built luxury off-roader. USB ports are littered throughout the cabin, even in the third row if you opt for the seven seats, with optional temperature control as well. 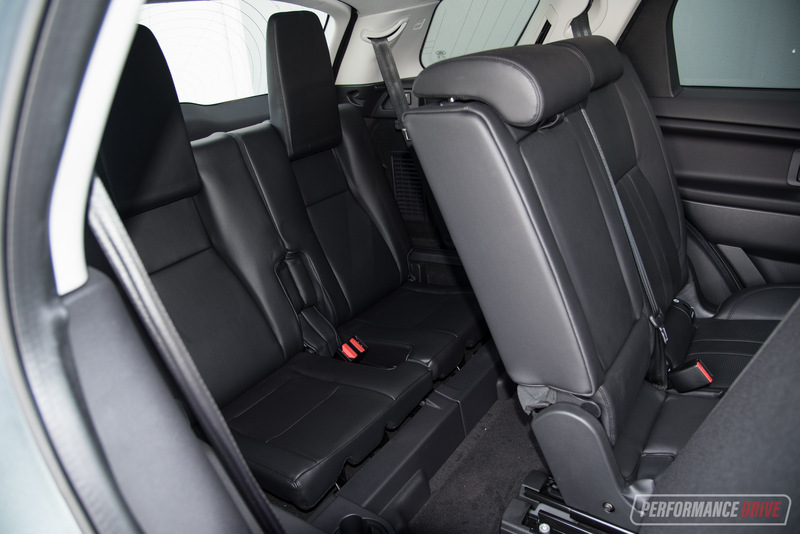 All rows have air vents and cup holders, and the seats can be configured for optimum versatility. This is helped along by the slide-adjustable second row; you can either have more room in the third row or second row to suit your changing needs. The third row seat space is decent enough for kids or desperate adults, and they are easy to fold up and down. 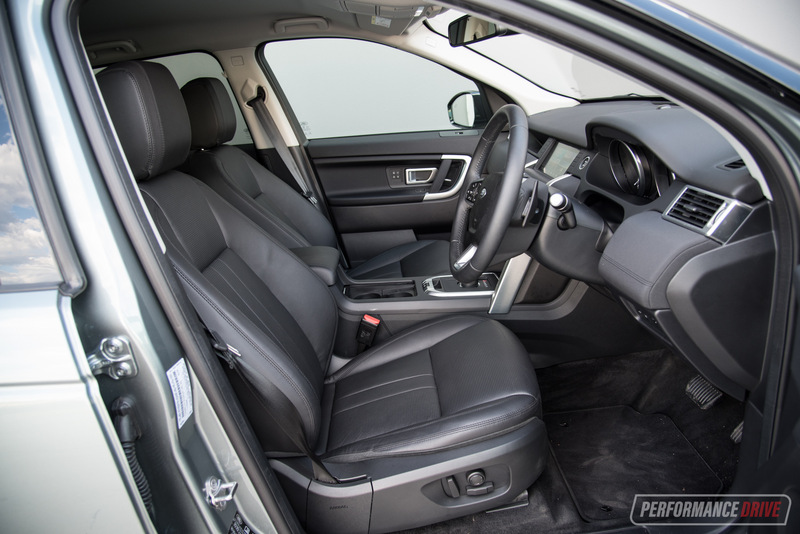 If cargo space is a high priority, the Discovery Sport does not disappoint. To give you an idea, it’s big enough to fit that third row, which is not an option for other vehicles in this segment. 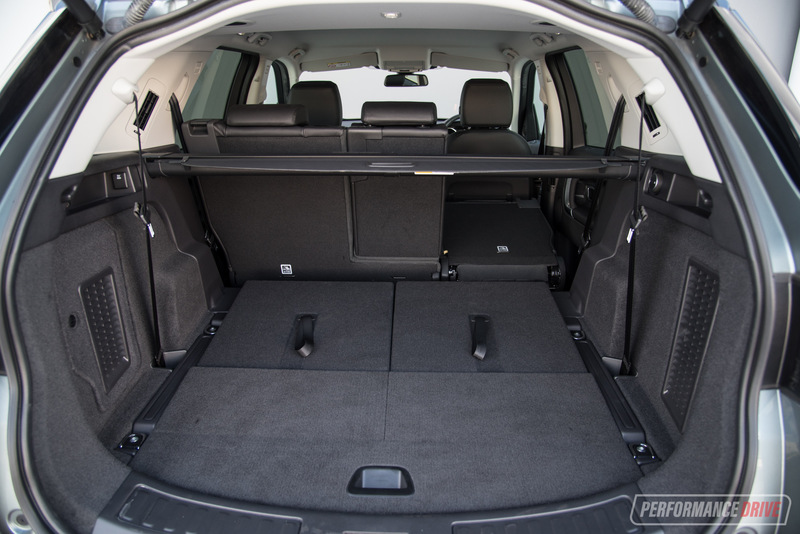 Officially, the boot measures at 981 litres with the third row folded down (bigger than most rivals), and 1698 litres with the second row also folded. When we glanced over the outputs of the new twin-turbo engine, our mouths started to salivate. 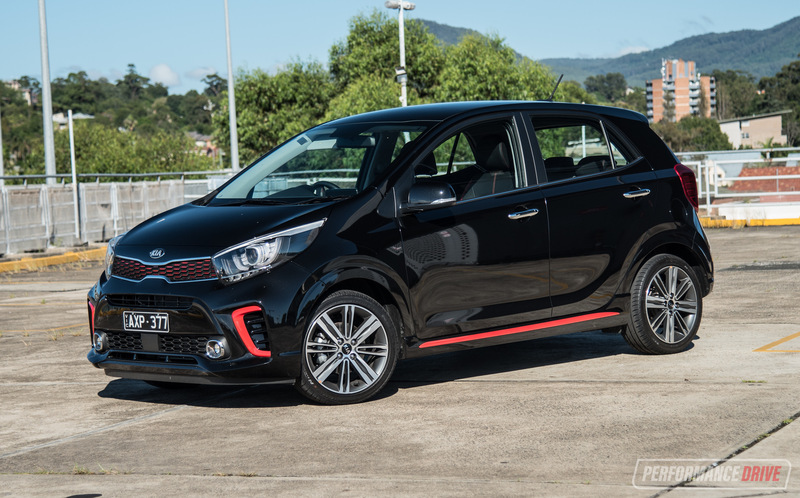 500Nm combined with 177kW extracted from only a 2.0-litre four-cylinder engine is quite impressive. Translated on the road, all that torque buries heads back in their seats. However, it doesn’t quite feel like 177kW behind the wheel. 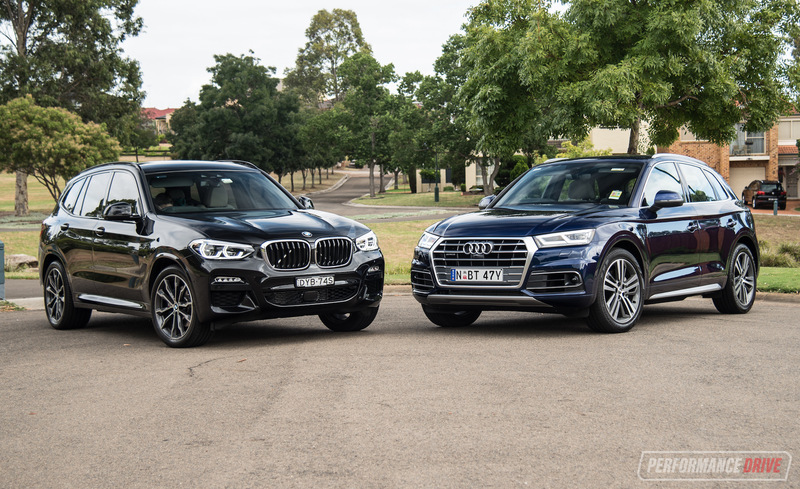 Our 0-100km/h test reveals just the same. Time and time again, trying with different settings and launch methods, we couldn’t achieve lower than 8.23 seconds. This is short of the claimed 7.5 seconds, and even that is a bit behind the segment standards. 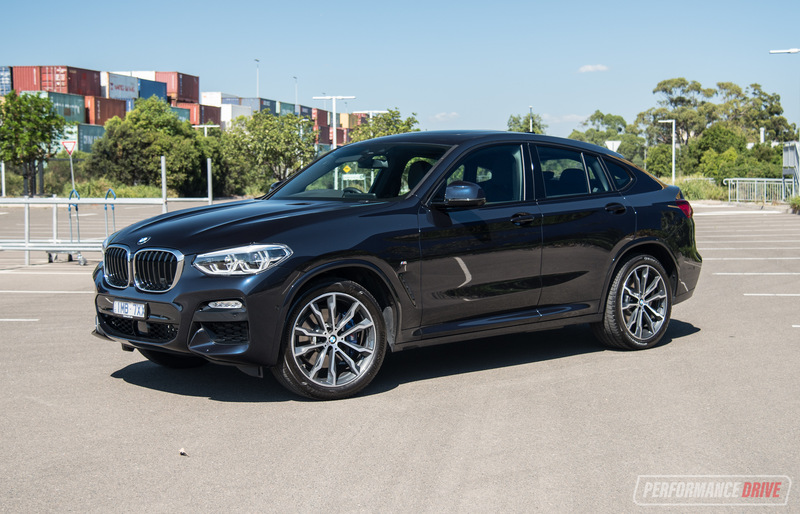 Obviously this isn’t intending to be a fast car, but we think the slowish 0-100km/h time is mostly down to the delivery of power governed by the nine-speed automatic transmission. To be blunt, the transmission is slow and confused in our opinion. For example, when slowing down, it takes too long to downshift to the point that it gives an audible grind, and the next gear is not ready to pull you up to speed. 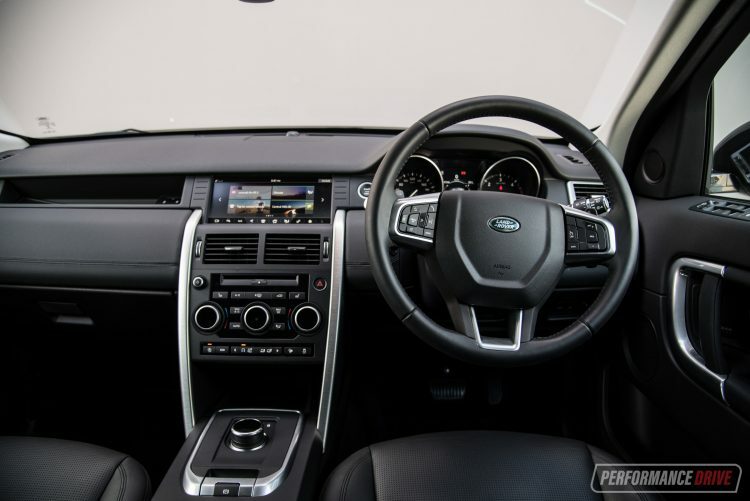 Even the cruise control struggles to maintain a constant speed when approaching hills, as the engine seems to battle it out with the gearbox, holding onto higher gears for too long. The map sensor in the accelerator is also too delayed we think. One minute, you’re not giving it enough juice, and the next, you’ve overcompensated and suddenly giving it too much juice, resulting in a jerky experience. You can fix this by selecting the S mode for the transmission, or simply changing gears yourself in manual mode. Why does it always hunt for higher gears? It’s mostly likely to try and maximise fuel consumption. 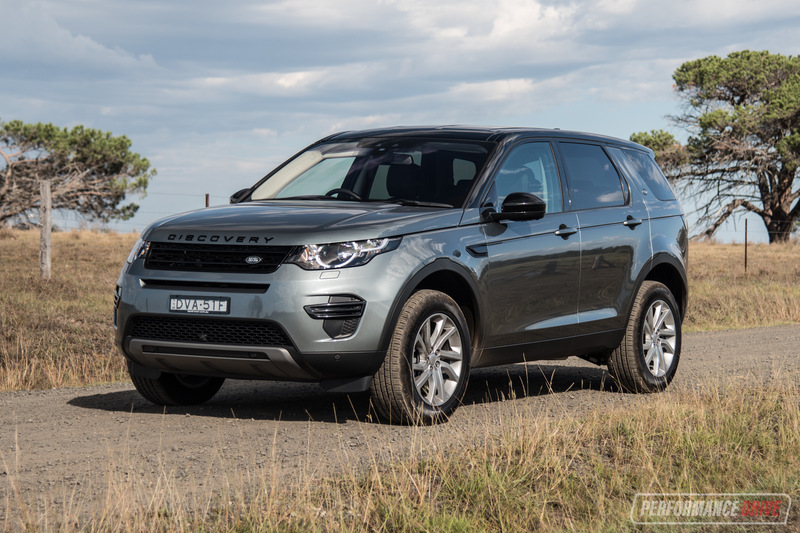 On the official specs this torque meister offers an average of just 6.4L/100km. 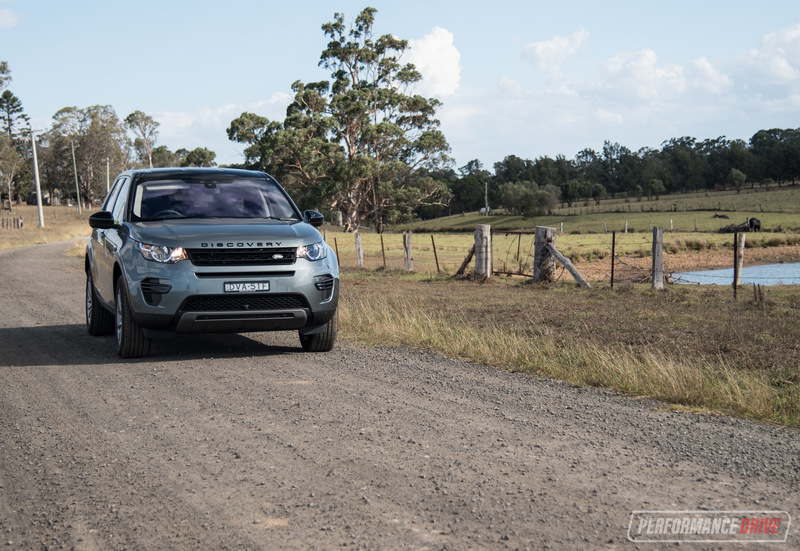 During our harsher testing, we achieved 7.3L/100km. 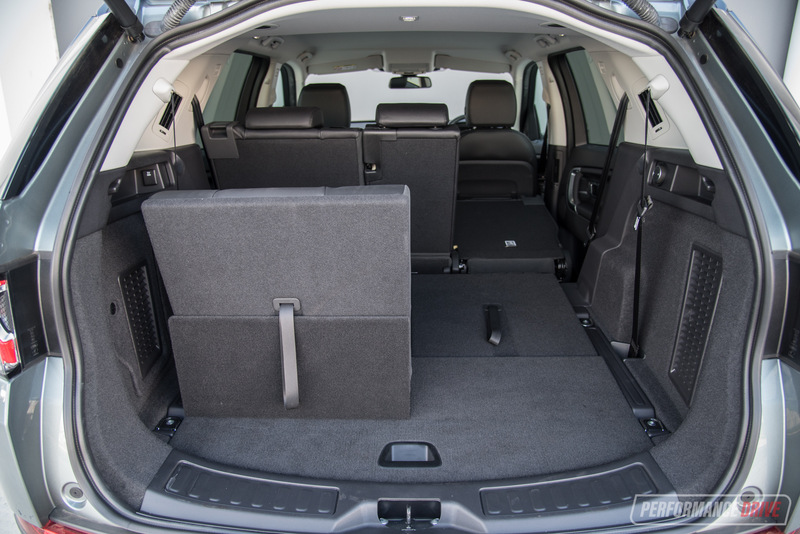 It is a very impressive real-world figure, especially for a 1860kg seven-seat SUV. The only pitfall in this department is the 54-litre tank. You will struggle to travel 500-550km before needing to refuel – unless you enjoy driving with the gauge needle hanging very low. 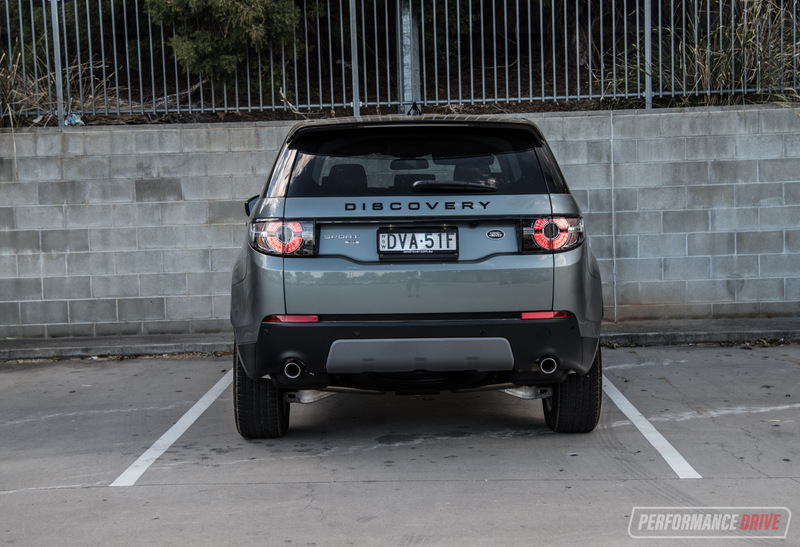 Underneath, the Discovery Sport uses a long compression suspension setup. 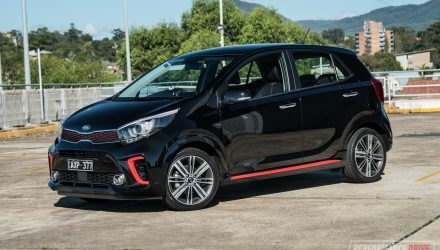 This means it thrives off the road, and speed humps on the bitumen will be barely noticed. As a trade-off, going around corners can feel a tad squishy and top-heavy. 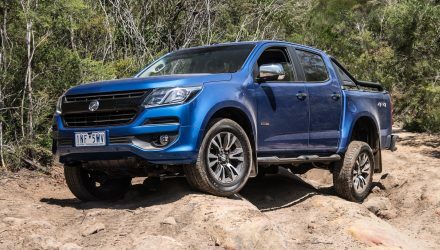 It’s nothing under-par for this segment, but there are other soft-roaders that handle more like cars – although these won’t perform anywhere near as well off road as this. 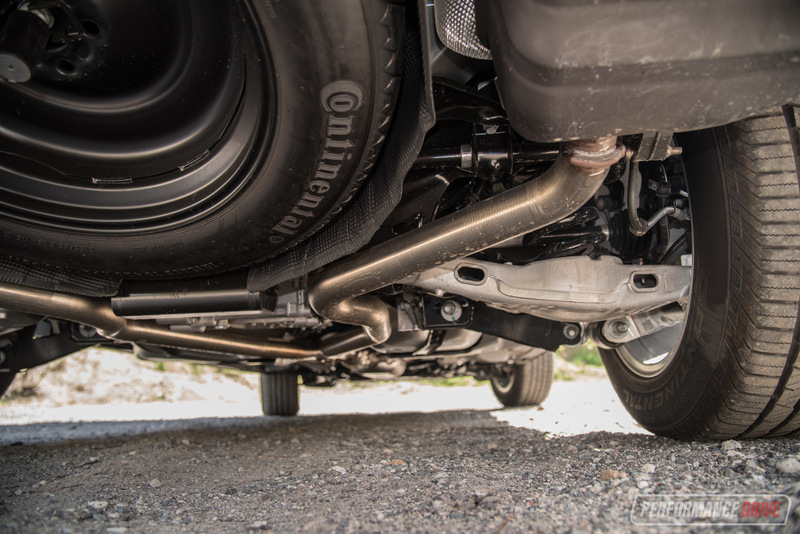 The front suspension uses MacPherson struts and coil springs with an anti-roll bar. 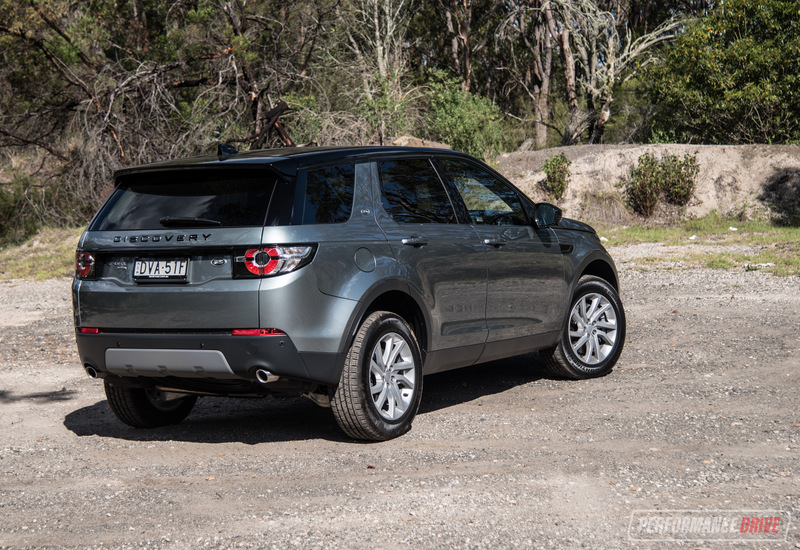 At the rear, it uses a multi-link system with coil springs, gas dampers, and an anti-roll bar. Helping with the off-road performance, ground clearance is rated at a commendable 212mm. Approach and departure angles also compare well against most rivals, at 23.4 and 31 degrees, respectively. 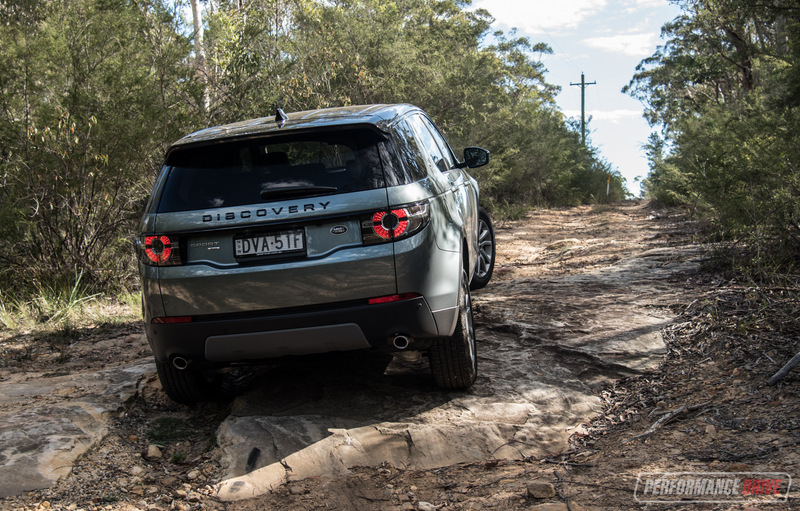 During our test we hit a decently tough little off-road track, and it felt more than capable. 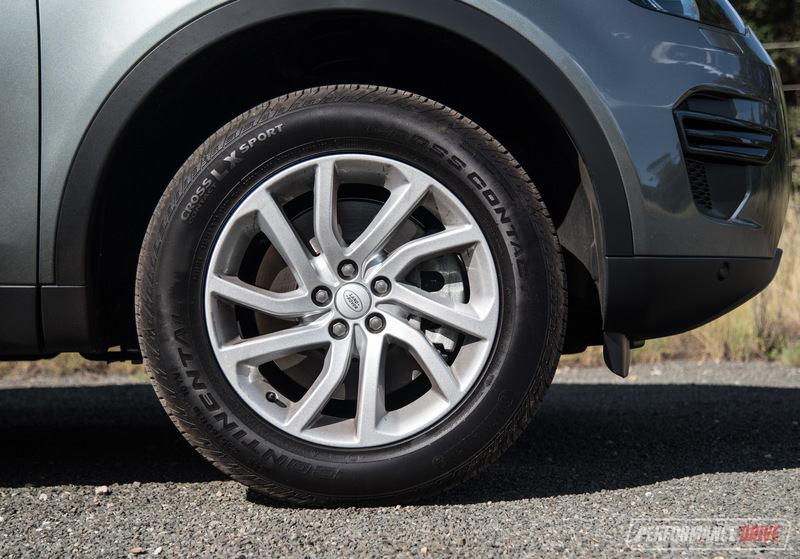 The impressive approach and departure angles mean it doesn’t come close to scrubbing out, and the relatively tall 235/60 tyres provide plenty of flex and give over undulating terrain. Off the road is where the engine comes into its own as well. Using the paddle shifters, you can select a low gear and the 500Nm will rip you up very steep climbs with no hesitation. 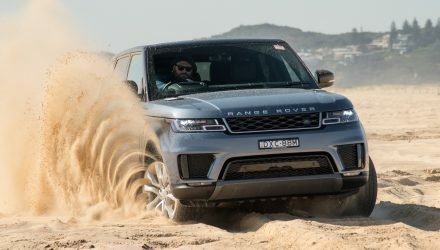 Progress through thick mud and sand is also ahead of the class thanks to the nine gear ratios and 500Nm engine combo. 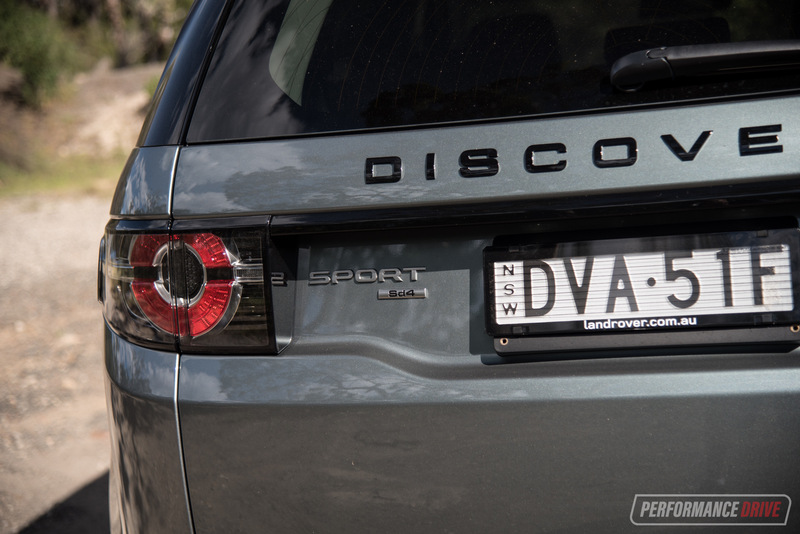 And this is where the Disco Sport really shows up its rivals. Sure, it’s not as agile or as quick as some of the competitors, but boy can it carve out a solid track off the road. Playing with the various drive modes can be fun as well, but leaving it in the auto response mode will result is similarly successful progression over and through sticky conditions. If you need an SUV to tow with, the Discovery Sport is the ideal option in this class. It can pull 2500kg with a braked trailer. This is more than the equivalent (or higher-spec) mid-sized premium SUV rivals: Audi Q5 2.0 TDI (2400kg), BMW X3 30d (2000kg), Mercedes GLC 350d (2000kg). 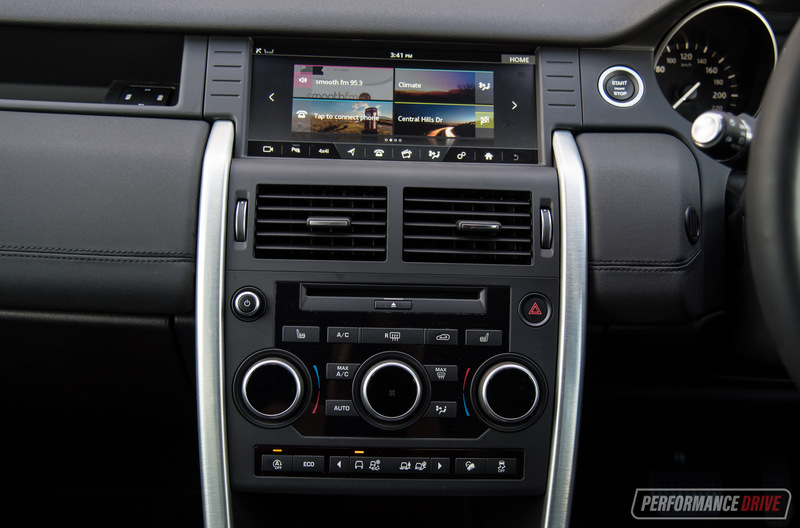 Like with all vehicles from the extended Jaguar Land Rover Ingenium engine family, servicing intervals are scheduled for every 34,000km or two years, and warranty for three years or 100,000km, whichever comes first. 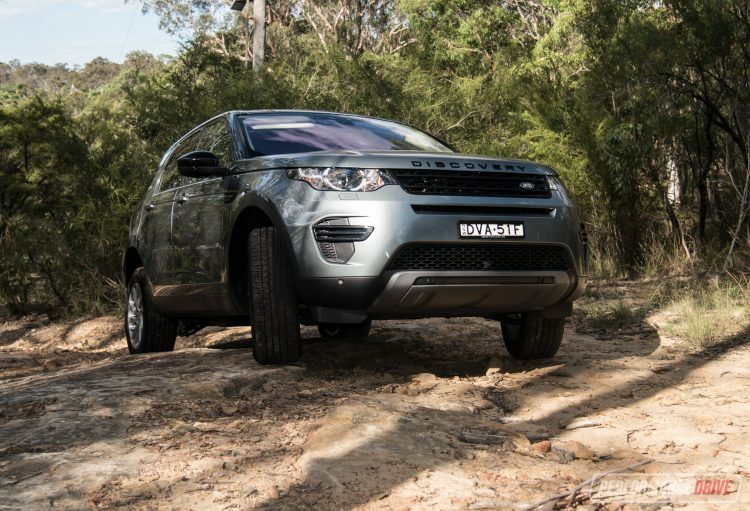 The Land Rover Discovery Sport is a fantastic choice, particularly for those wishing to do some adventurous off-roading or towing. The new Sd4 SE struts a twin-turbo engine that has outputs of a sports car. 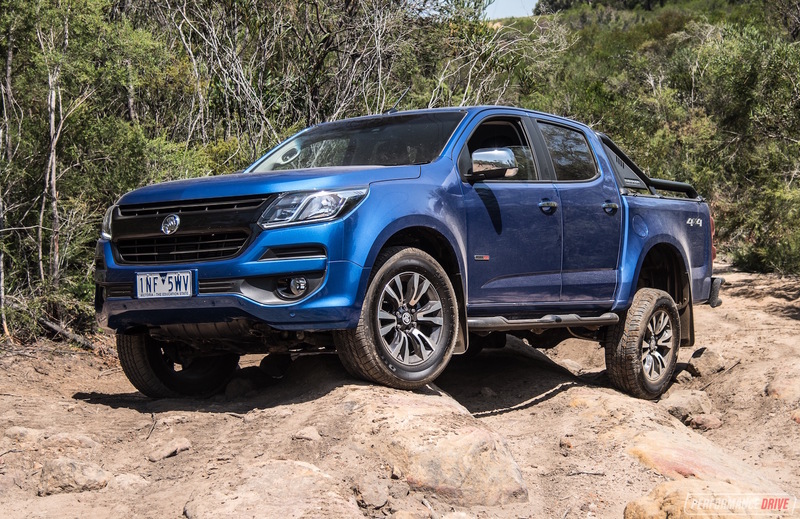 Although held back by a somewhat confused nine-speed auto, and a fairly hefty tare weight of 1860kg, the Sd4 is more at home off the road than any other rival. We love the large infotainment system and its functionality, the overall modern interior and exterior design, and the option of seven seats. But we don’t like the short fuel range, poor radio reception and the aforementioned nine-speed gearbox. 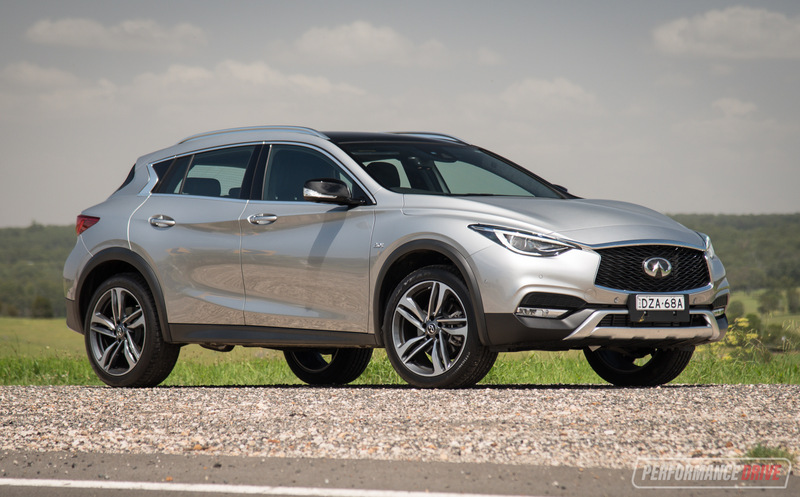 If you can put those small issues behind you, here is a good-looking, modern, reasonably priced, and fuel efficient premium SUV to discover the world in.